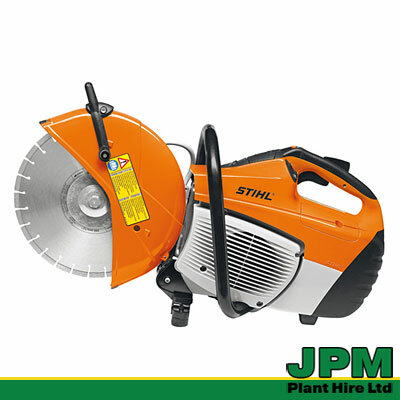 The STIHL TS 480i has the unique Stihl injection engine technology for the 300 mm cutting wheel. It is easy to start with a poweful torque. Fully-equipped with long-life air filter system and electronic water control. Can be operated by hand or with the FW 20 cart. The electronically controlled fuel injection ensures perfect running and reduces fuel consumption compared with tools without the injection technology. The 2-stroke engine with stratified charge reduces emissions and the fuel lost during the charge cycle. The electronic water control system is operated with simple buttons whilst the engine is running. 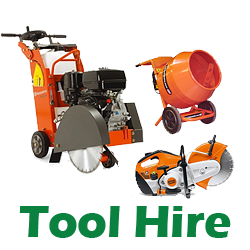 The water then switches on and off automatically during cutting, depending on engine speed. 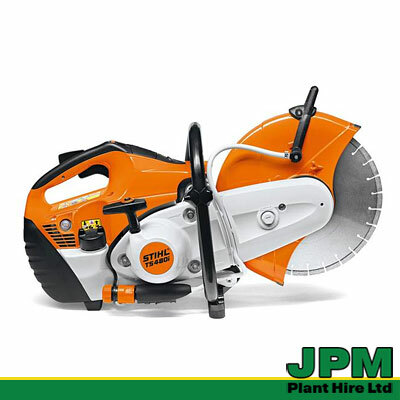 We will gladly offer professional advice on choosing the cut-off saw or any other equipment for your requirements, confirm the hire cost for the hire period, our terms and conditions and what is is included in our hire arrangements.